Red Hills salamander; endangered amphibian symbol of Alabama. Photo © 2011 Dante Fenolio/www.anotheca.com from www.EncyclopediaofAlabama.org (all rights reserved, used by permission). Endangered Red Hills salamander; [file:field-file-main-description] Photo by [file:field-file-photographer]/[file:field-file-source] ([file:field-file-license]). 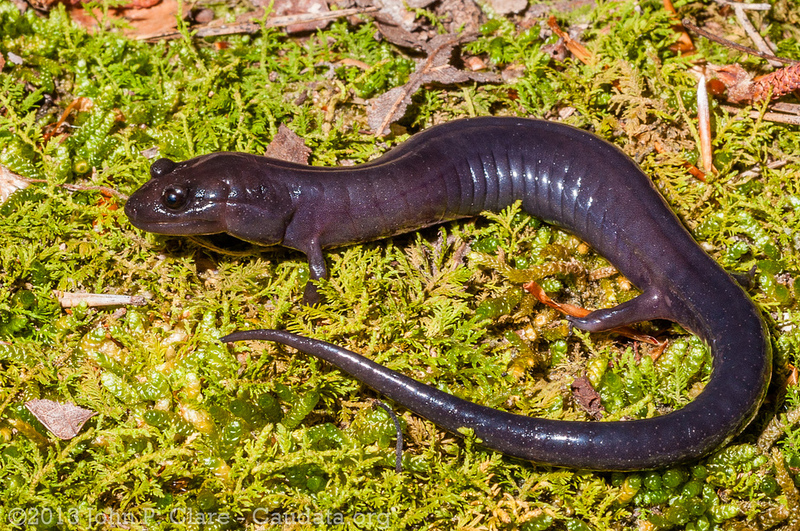 The endangered Red Hills salamander was recognized as the official state amphibian of Alabama in 2000 after a campaign led by the third graders at Fairhope Elementary School (guided by teachers Susan Sims, Ann Agerton and Amy Jones). All State Amphibians. This rare and elusive salamander was not known to exist until 1960, when Leslie Hubricht, a renowned expert on land snails, accidentally discovered the first one while searching for snails in the Red Hills of Alabama. It was not only a new species, it was the first new salamander genus discovered in North America since 1939. The salamander was named Phaeognathus hubrichti after Mr. Hubricht. A second specimen wasn't obtained until 1963. 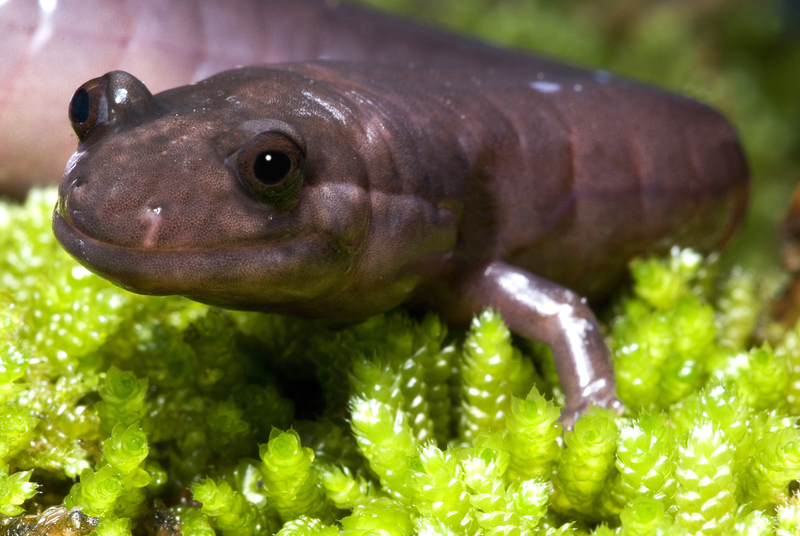 The Red Hills salamander lives in burrows and is fully terrestrial - it does not lay its eggs in water but on land. It breathes through its skin, making it a member of the family of lungless salamanders. But it is a unique species, with some features making it different from all other lungless salamanders. It has shorter limbs than its relatives but is longer - it can grow to a little over ten inches long. It is the largest fully terrestrial salamander in the United States. Red Hills salamander (Phaeognathus hubrichti); endangered amphibian symbol of Alabama. Photo by John Clare/Flickr (noncommercial use permitted with attribution/no derivative works).